We hope you will take a minute of your time to consider a contribution to the Aviation Museum of NH's Annual Fund, a means to grow stronger and more capable of fulfilling it's mission to preserve aviation history in the Granite State. 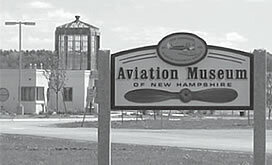 Today, we get only 1/3 of our operating budget from membership dues and sales at the Aviation Museum of NH. Fully 2/3 of our budget is contributed income. Over time, we hope to switch those proportions but can only do so with an investment in Aviation Museum of NH programs, educational outreach, and museum exhibits that will make the Museum self-sustaining. Your gift to the Annual Fund will help make that happen.